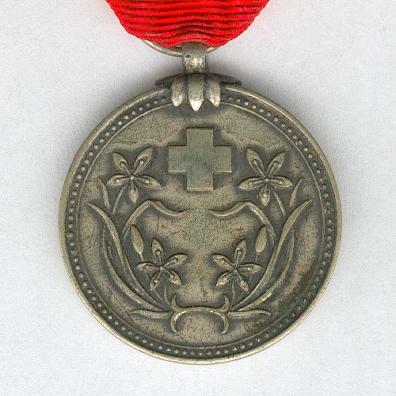 Circular silver medal with claw and laterally pierced loop for ribbonl suspension; the face with a Geneva (Greek) cross above two sprays of orchids within a beaded border; the reverse with the characters ‘Kang Teh 5th Year 10th Month 1st Day / Manchukuo Red Cross Society’ within a beaded border; age-toned; on probably replaced correct ribbon with hook and eye fittings. 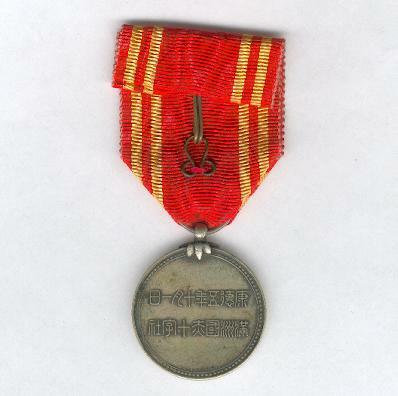 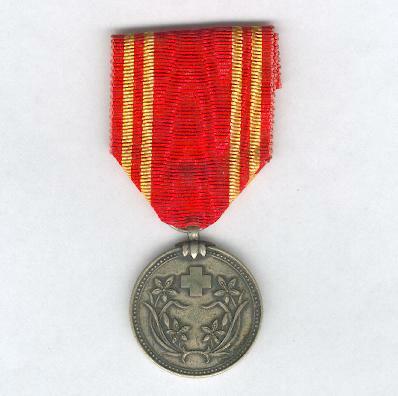 The Manchukuo Red Cross Society was established on 1 October 1938 by the Manchukuo Japanese puppet regime and its medals were official awards that could be worn with uniform. 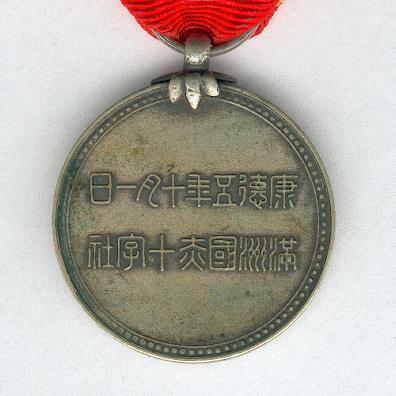 The post-war return of Manchuria to Chinese rule and the limited number of awards make these medals hard to find.